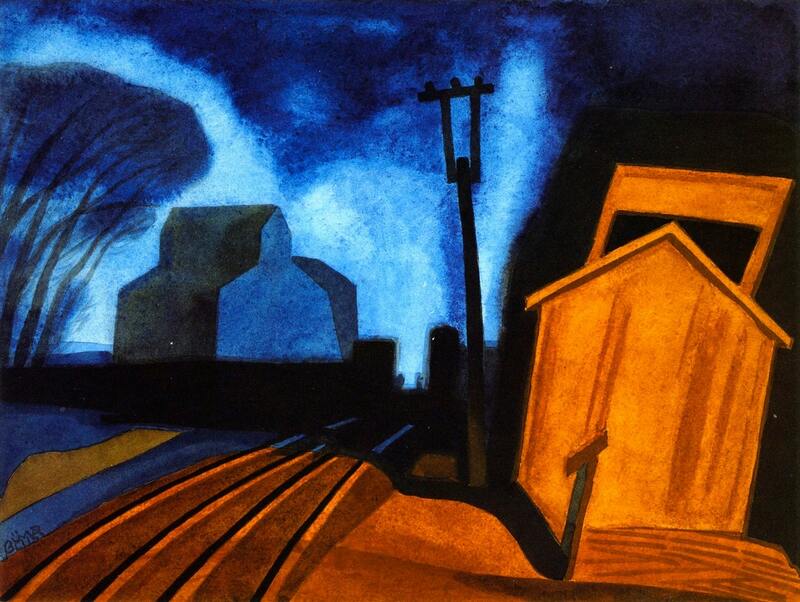 This is a rich and vibrant Giclee art print of 'Flag Station, Elizabeth, New Jersey'' by American artist Oscar Bluemner, 1925. German-born American Modernist painter Oscar Bluemner combined realism and Cubism. His geometrically simplified buildings and landscapes often have incandescent oranges, reds and blues set against rich opaque blacks, giving his work a stained-glass effect. His colour block style marries beautifully with the pigment-ink of Giclee printing. It's a great way to bring colour to a wall without getting the paint pot out.